Susan Graham joins the Orquesta Sinfónica de Madrid on Wednesday, March 2 as soloist in Britten’s cantata Phaedra under conductor Ivor Bolton. 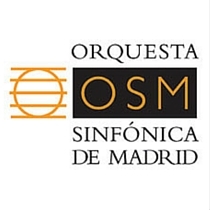 The evening’s program at Madrid’s Auditorio Nacional de Música also includes Britten’s Sinfonía da Requiem, Brahms’s Academic Festival Overture, and Schubert’s Symphony No. 6, “Unfinished”. Find more information and tickets to this concert here. Later this season, Susan returns to Madrid to present a solo recital at the Teatro Real with pianist Malcolm Martineau. More information about her June 11 performance can be found here. 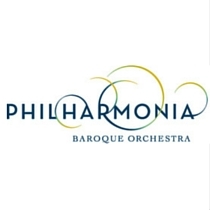 Susan Graham joins the Philharmonia Baroque Orchestra on Thursday, February 11 for a gala concert featuring some of Handel’s most beloved works, in celebration of Music Director Nicholas McGegan’s 30th anniversary with the orchestra. Susan sings arias from Ariodante and Alcina as part of a program that also includes orchestra performances of Water Music and Music for the Royal Fireworks. Find more information here about “Baroque Fireworks”, which takes place at San Fransisco’s Herbst Theatre. In the new year, Susan Graham appears twice at Carnegie Hall: first in April with the Orchestra of St. Luke’s and Purcell’s moving “Dido’s Lament”, then in May with a special evening in company with some of her closest musical friends. After joining San Francisco’s Philharmonia Baroque and Nicholas McGegan for works by Handel, Susan embarks on a European tour with pianist Malcolm Martineau, performing repertoire ranging from Schumann to Poulenc with stops at the Royal Conservatoire of Scotland (which will be broadcast live on BBC 3), the Grand Theatre de Geneva, Wigmore Hall, and Vienna’s Konzerthaus. She also joins pianist Bradley Moore at Amherst College, Baldwin Wallace University’s Art Song Festival, and for Boston’s Celebrity Series. Susan caps her season in May by singing Brahms’s Alto Rhapsody with the San Francisco Symphony and the men of the San Francisco Symphony Chorus under Michael Tilson Thomas. 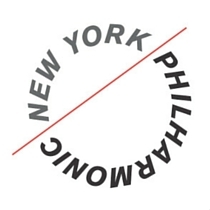 To ring in the new year, Susan Graham joins Alan Gilbert and special guests at the New York Philharmonic’s annual New Year’s Eve concert on December 31. “La Vie Parisienne” features Jacques Offenbach’s “Ah! que j’aime les militaires” from The Grand Duchess of Gerolstein and “Ah! quel dîner” from La Périchole. 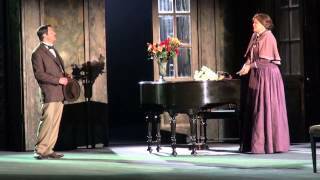 Susan also performs “C’est ça la vie, c’est ça l’amour” from the Moisés Simons operetta Toi c’est moi, as well as Edith Piaf and Louiguy’s “La Vie en rose”. The evening’s program also includes Saint-Saëns’s Carnival of the Animals, featuring narrator Nathan Lane and pianists Inon Barnatan and Makato Ozone. Find tickets here. “La Vie Parisienne” will be telecast nationally on December 31 by PBS’s Live From Lincoln Center, beginning on New York City’s WNET at 8pm ET. Check your local listings for more information.